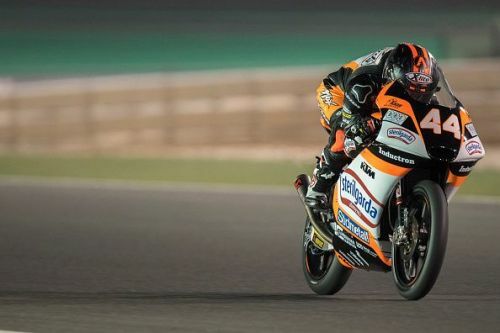 March 10, 2019, will host the inaugural race of the 2019 Grand Prix Motorcycling Racing season in Qatar. 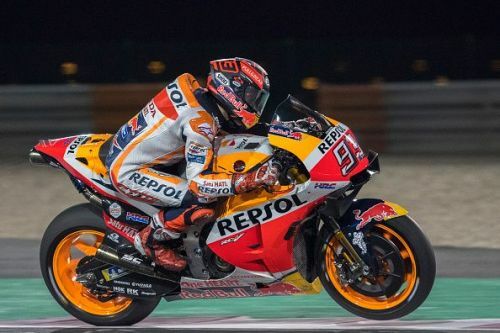 The premier class will see five-time MotoGP World Champion Marc Marquez defend his title to edge closer to the elusive record set by the prolific Italian Valentino Rossi. Regarding qualifying, the Spaniard starts the race from the third place while his Italian nemesis Andrea Dovizioso takes the second spot on the grid. Moto2's qualifying session was topped by Marcel Schrotter while the Moto3 division was dominated by KTM's Aron Canet. Without further ado, let us look closer at the four things that could happen during the race at the Losail International Circuit in Qatar. The top-12 riders in the Moto3 division and the top-15 riders in the Moto2 division were separated by less than a second during the qualifying session. Aron Canet, after putting strong shows during the free practice session, managed to secure the pole position just 0.146 seconds ahead of Xavi Vierge. On the other hand, in Moto2, Dynavolt Intact GP's Marcel Schrotter took the top spot on the starting grid with a lap time of 1'58.585. Despite these two riders starting from the best possible position, there is no certainty that it would result in a race win as a big bunch of riders are split by only a small margin, outlining the capabilities of their respective machines. A good start by a rider and a couple of mistakes by the other could propel the first to a very good position to secure a podium when the chequered flag is waved at the end of the race. With the way the qualifying session has planned out, the podium places for the two support classes are wide open, and anything could transpire during the race.